Film Director Rajeev Sharma presented his award winning film Naabar at the Old Kachehri lawns inside Qila Sarai ruins, Sultanpur Lodhi. Viewing a film screened in an open air theater was nostalgic for many while being a first time experience for others. 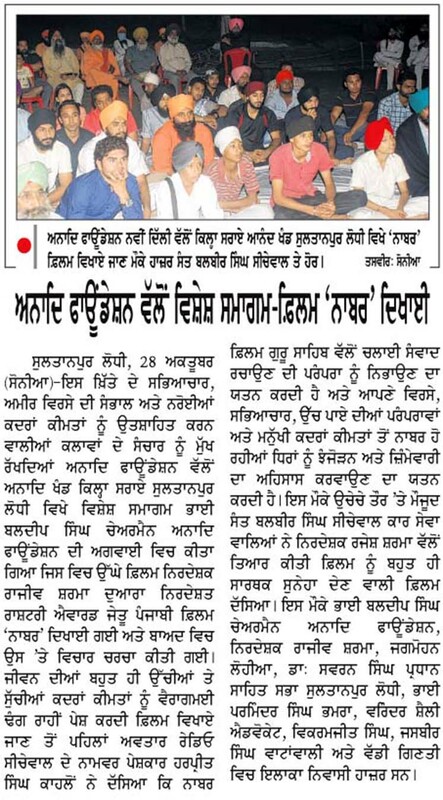 A report by Narinder Singh Sonia carried in Punjabi Daily, Ajit.